Sarah has a Masters qualification in Physiotherapy and has a special interest in musculoskeletal and post surgical physiotherapy. 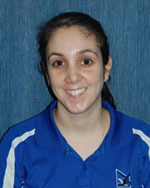 Sarah also has an interest in alternative therapies and is trained in both pilates and acupuncture/dry needling. A background in personal training and exercise science helps Sarah to teach her patients how to participate in their own rehabilitation and recovery. Very experienced as a physiotherapy patient herself, Sarah understands the frustrations and struggles on the road to recovery and is happy to be able to help others get results and prevent reoccurrence. Sarah enjoys many sports, including soccer and gridiron, and greatly misses her native Canadian ice hockey.